Also known as The Emergency Magician, Glen is an award winning magician and member of several magic clubs. He performs for all occasions (private events, birthday parties, youth and adult outreach events etc). 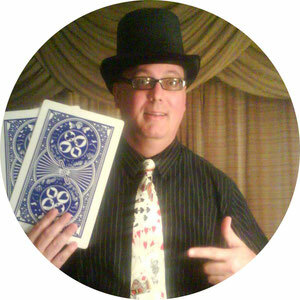 Whether on stage or up close, his magic will entertain and quite possibly amaze you! He has performed overseas and delighted audiences, letting the magic do the talking! As a performer in the magical arts, I feel it is my purpose and privilege to open up the boundaries of the imagination thereby bringing delight and amazement to both young and old. In so doing we journey out of the mundane 24/7/365 and enter a realm of mystery and fascination wrapped up in fun! I have been performing for over 15 years, from small private affairs to school auditoriums and church stages. I have always thoroughly enjoyed bringing laughter and fun to others with this gift. I have also discovered it's use in illustrating and sharing the good news of God's word when appropriate. One of my passions is to encourage others and open up an understanding of how marvelous the creator God of the universe is and how much He loves each and every one of us! I have performed primarily in the Southern California area, which is where I reside and focus my efforts. 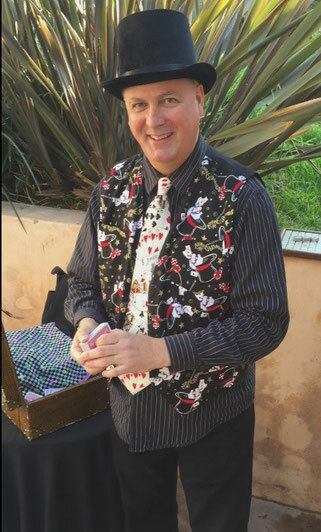 I perform yearly at the KidStage Light at the Lighthouse Event at the Point Fermin Lighthouse in San Pedro. I have also been overseas to China and Russia working with a team yet sharing in my unique way bringing magic and a message of truth and hope to all. Whether children in orphanages, teenagers in a school assembly, adults or a mix of them all... The whimsical nature of the magic and the ability to relate to just about anyone brings us all together in a wonderful way for those all too brief magical moments!